Published on Tuesday, November 4, 2008. This article appears in the December/January 2009 issue of American Craft Magazine. 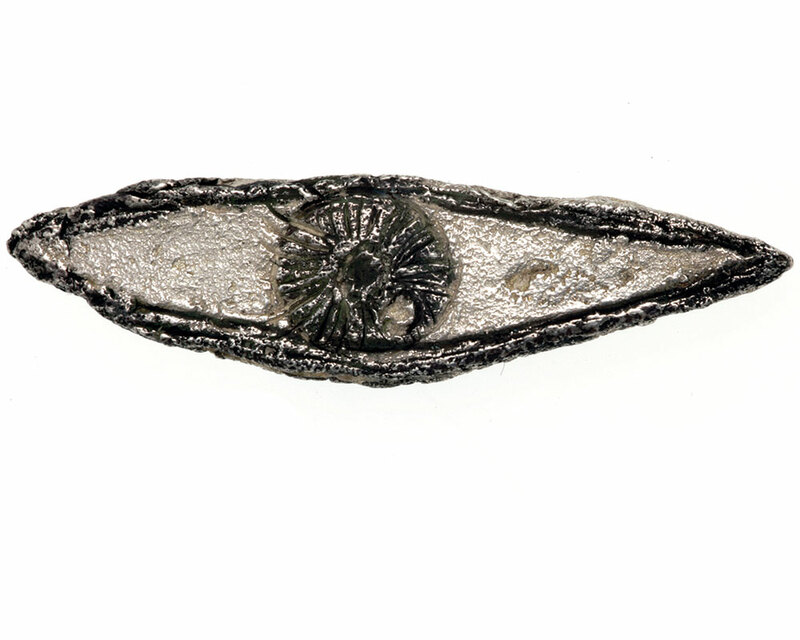 Speedy, 2007,18k gold, diamonds, enamel, saphhires, edition of 50. In the tactile world of craft and design, where touch is of the essence, forgoing a physical space to sell objects might seem risky. But as consumers become more visually savvy, and technology continues to allow deeper understanding of objects strictly through images, virtual galleries are becoming more commonplace. Still, in the world of high-end art jewelry, where pieces have been known to fetch upward of $35,000, this tactic is just finding its footing and afsoun.com is helping pave the way. In downtown Manhattan, on a floor high above the New York Stock Exchange, Sara Benda's online gallery and boutique (that doubles as her family's home) sells jewelry made by seemingly unlikely designers. At afsoun.com, you'll find a bracelet by artist Michele Oka Doner, colorful resin cuffs by architect Gaetano Pesce, crudely etched silver brooches by painter and sculptor Kiki Smith and a black ta­rantula necklace by the industrial designers of Studio Job. 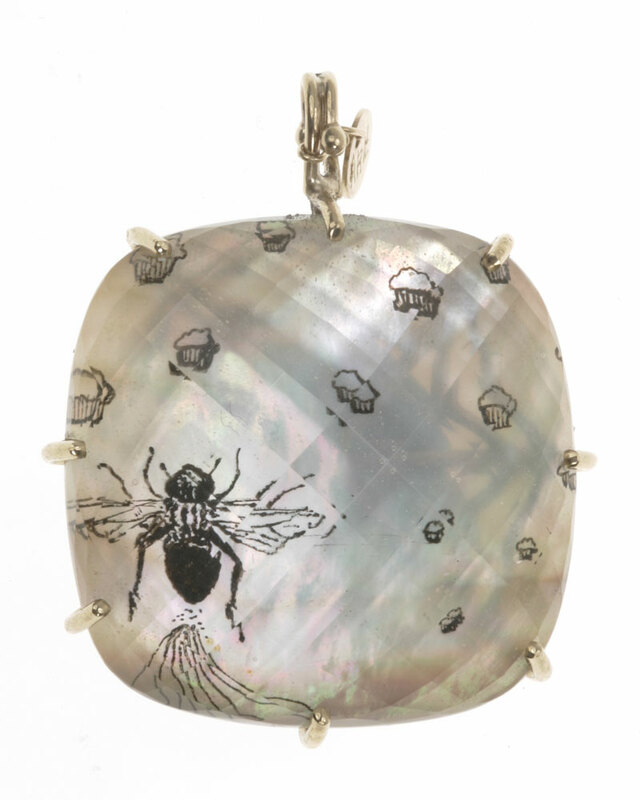 a work's wearability herself, and on a recent visit she was draped with a large seashell-like necklace made by Dror Benshetrit of Studio Dror. Following extensive experiments with other materials, Benshetrit dipped bits of fur into porcelain and fired them, burning the fur away and leaving only delicate forms that he has turned into his Urban Castaways series. Unexpected finds like this abound at afsoun-both online and off. Benda's family moved to the United States when she was a toddler (Afsoun is her given, Persian, name) and has long worked in the fine jewelry business. Initially, she collected only as a hobby, but early in her marriage to Marc Benda, who co-owns the Friedman Benda art-design gallery in Chelsea, her husband began to give his new wife Art Smith jewelry on birthdays and anniversaries and suggested she make a business of her collecting. Today, anyone with access to a computer can purchase jewelry by noted artists and designers on afsoun. However, clients can also make appointments to view the collection-which includes work by Louise Bourgeois, Louise Nevelson and Gijs Bakker in editions of five-in person, which is certainly a better way to grasp the scale of the pieces. "People today want something different," Benda says. "It's the time of the statement necklace." Some of Benda's collection is unique and historical while other pieces are available elsewhere. Some pieces are new, commissioned exclusively for sale on afsoun. Pesce, who dabbles in jewelry design, will create a line for her later this year, and two more lines are planned for the near future. 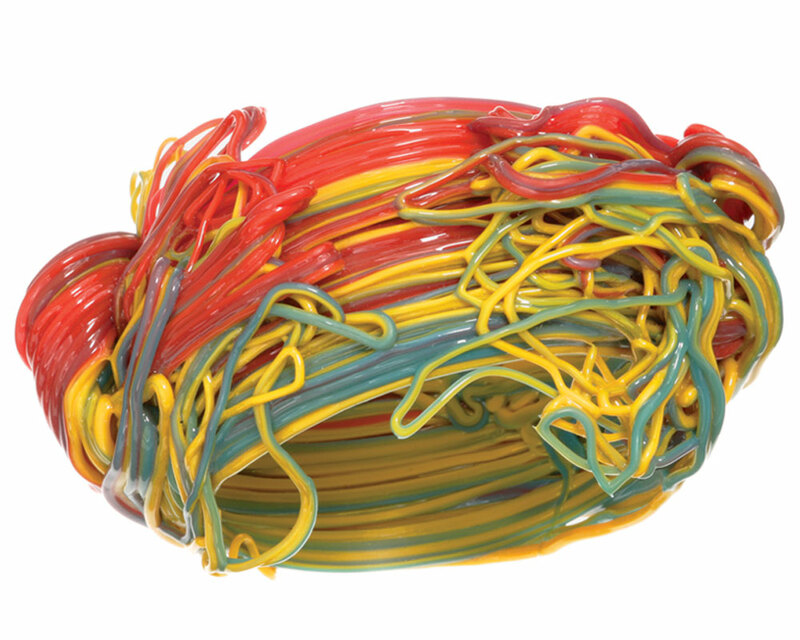 Multimedia pop artist Kenny Scharf, who had never before made jewelry, recently created his first line for the boutique. 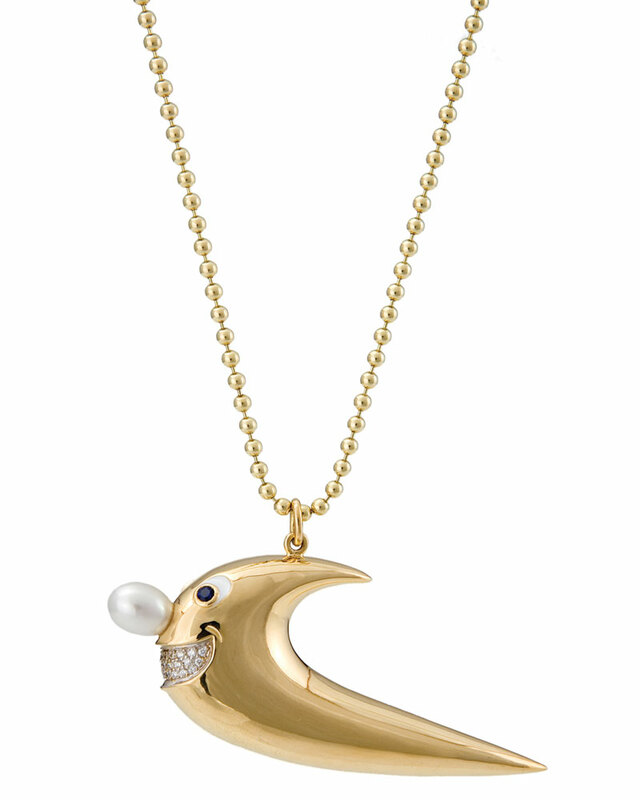 Scharf's necklaces are as cartoonish as his artwork: moon-faced char­acters with pearl noses hanging from golden ball chains with the word Love engraved on the back in loopy cursive. High-quality art jewelry is difficult to find in the United States and must be ferreted out at large art-object fairs like he International Art and Design Fair at the Park Avenue Armory in New York or SOFA, or at the handful of studio jewelry galleries across the country such as Ornamentum in Hudson, New York, Sienna Gallery in Lenox, Massachusetts or Velvet da Vinci in San Francisco. 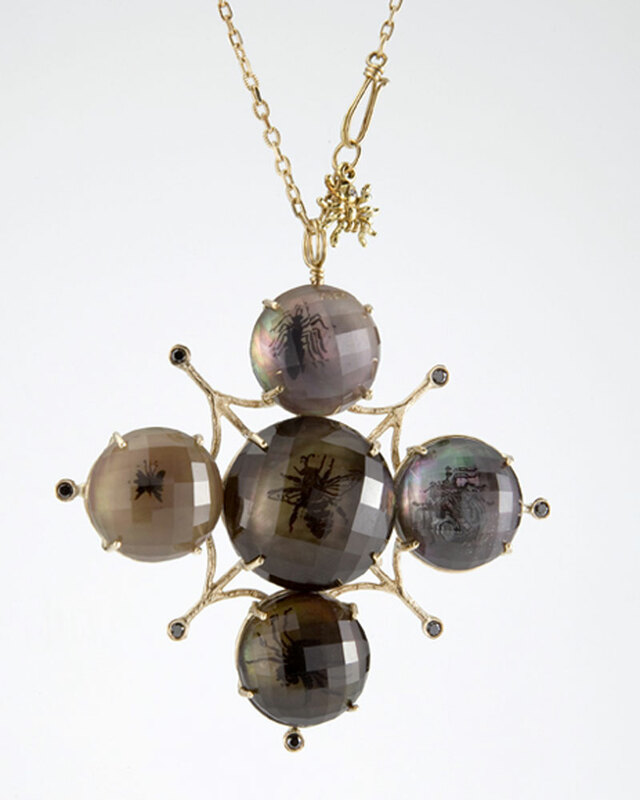 Even though people can find afsoun by Googling artist-designed jewelry and through word-of-mouth, Benda plans to make up for the lack of a brick-and-mortar space by attending the largest fairs and by exhibiting the collection at Friedman Benda, which she will do in December. 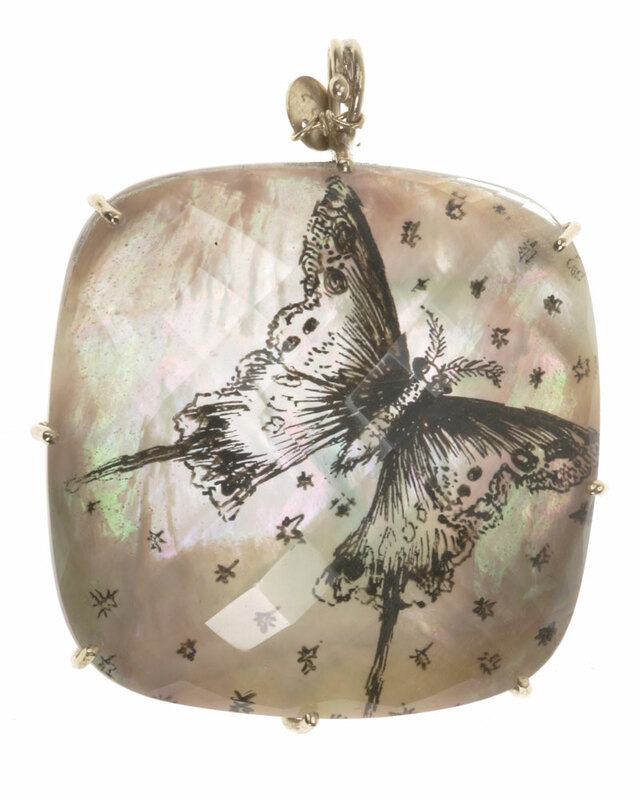 "People are becoming more aware that this jewelry is out there," Benda says. "And people who collect art also want to collect the art jewelry." In the Benda's living room which becomes an improvised showroom, pieces from afsoun's collection are placed around the dining room table on placemats: Droog Design and Chi Ha Paura...? 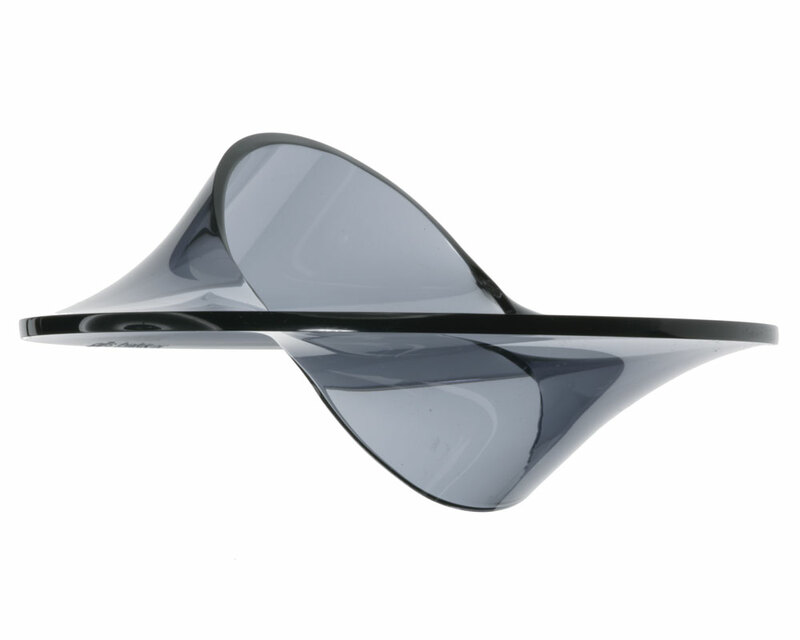 (a design-jewelry collective) founder Gijs Bakker's 1960s bracelets in smoky Perspex and hollow metal bracelets by Marc Newson, based on his Oregon lounge and table. 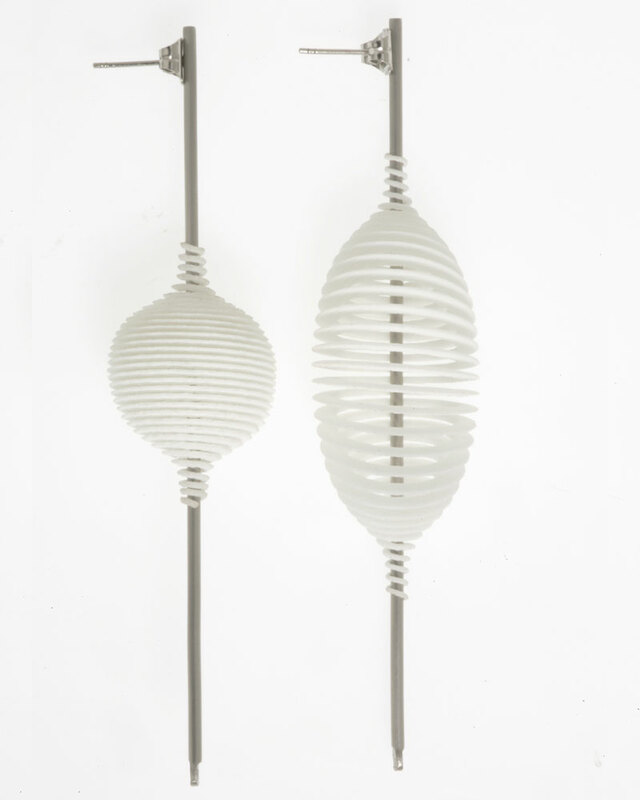 Industrial designer Ron Arad's laser-sintered earrings, inspired by his Hot Ingo light, can be worn asymmetrically; their coiled spheres of polyamide stretched into an elliptical shape or closed up into a tight circle along a slender platinum bar. 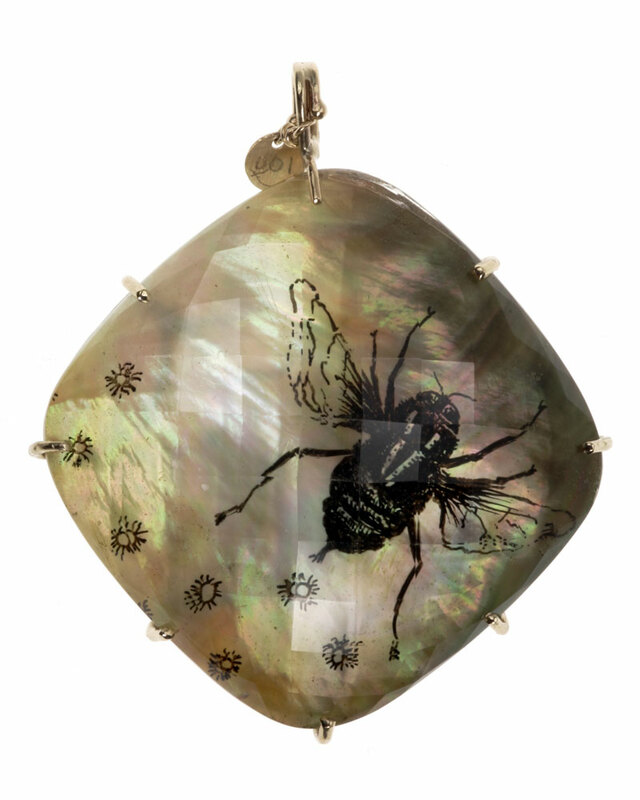 The illustrator Anna Ruth Henriques has etched insects onto mother-of-pearl in india ink and encased it in slabs of hand-cut crystal, like an animal trapped in sap and turned to amber. Herve van der Straten, who worked for Chanel and Dior in the 1980s but now designs furniture, perfume bottles for Dior and boutiques for Roger Vivier, hammered strips of brass and gilded them in pewter to create necklaces. "You don't have to be an art connoisseur to appreciate this jewelry, but if you are, it's great," Benda smiles. 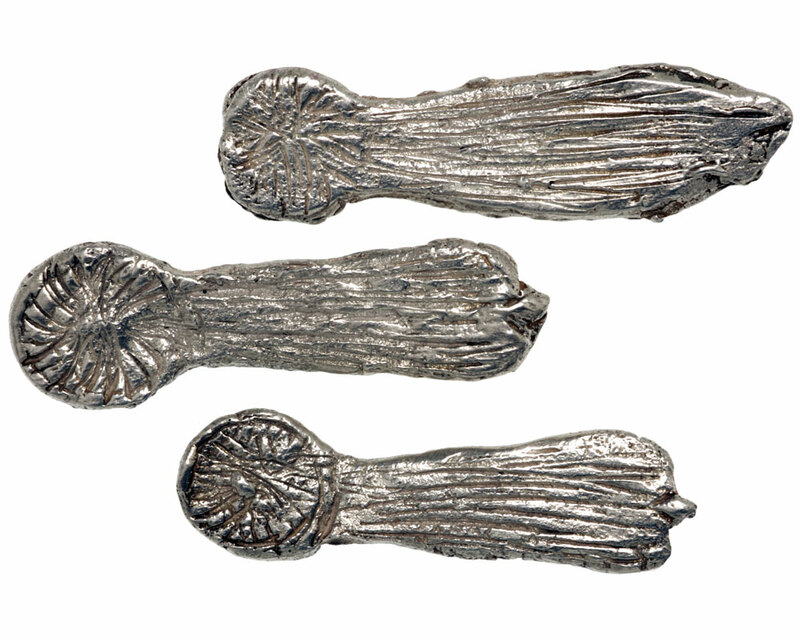 "Some people can't afford a painting by Kiki Smith, but they can afford a piece of her jewelry." And some people can't afford to see this work in person, but with online galleries like afsoun.com, the bold colors and stunning shapes of contemporary art jewelry are there at the click of a mouse. 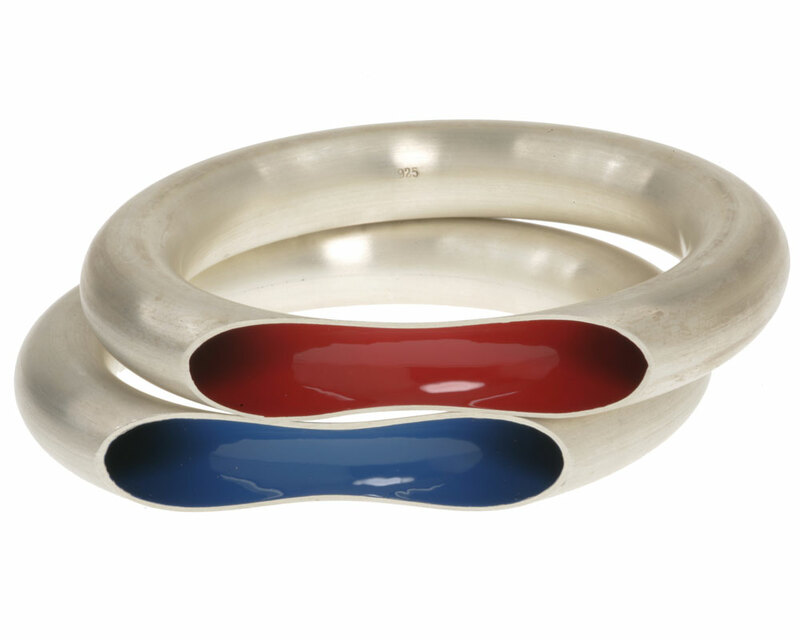 Circle in Circle Bracelet, design 1967, Perspex. Orgone Bracelet, ca. 1994, silver and lacquer. Maria Porges explores "The Miniature Worlds of Bruce Metcalf," at the Palo Alto Art Center.